Observed near shallow ponds at Eldoret, Kenya. January 2014. From Wikipedia: This is a large bird, standing up to 100 cm tall and measuring 84–102 cm long with a 155–195 cm wingspan. The body weight can range from 1.02–2.08 kg. Its plumage is largely grey above, and off-white below. 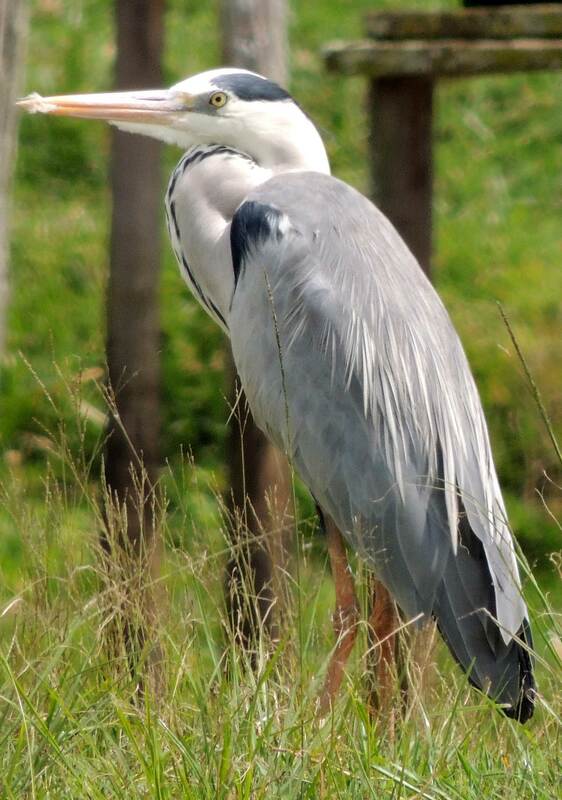 Adults have a white head with a broad black supercilium and slender crest, while immatures have a dull grey head. It has a powerful, pinkish-yellow bill, which is brighter in breeding adults. It has a slow flight, with its long neck retracted (S-shaped). This is characteristic of herons and bitterns, and distinguishes them from storks, cranes and spoonbills, which extend their necks. The call is a loud croaking "fraaank".